When Thomas Awiapo was an orphaned kid in Wiaga, a village in Northern Ghana, he would walk five miles to school and five miles back. He really didn’t like school; he didn’t see the point of it. Nobody in his family had ever gone to school, as least as far as he knew. But he did like to eat and needed to eat. At the school they fed the children a little meal and that was important. Thomas was a true orphan — both of his parents were dead and two younger children in the family died from malnutrition. His older brother had left. Thomas ate what he could scrounge and that wasn’t much. He didn’t have a friend in the world. That little meal he got at school, he came to realize, came from America and Catholic Relief Services. “It saved my life,” he said. Thomas also came to appreciate the value of school and through scholarships went on to high school and college and then graduate school in America. Now he is married and has children of his own. 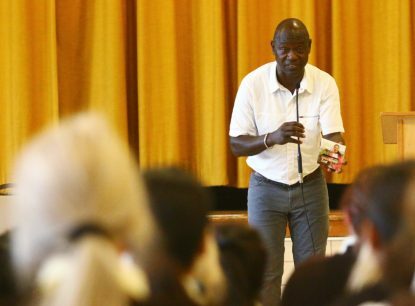 And for the past 18 years he has been an employee of CRS in Ghana but spends part of his time crisscrossing the United States, speaking at schools and parishes, spreading the message that Catholic Relief Services saves lives. 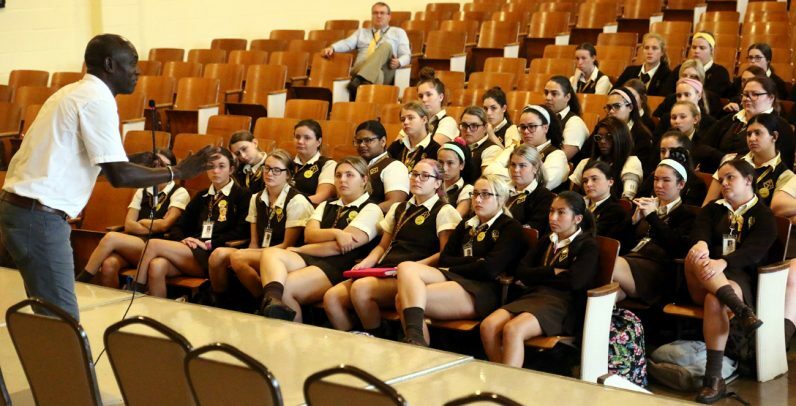 Among places he’s visited recently in the Philadelphia area are St. Charles Borromeo Seminary, Villanova University, Holy Redeemer Chinese Catholic Parish, St. John Chrysostom Parish in Wallingford and on Sept. 25, St. Hubert Catholic High School for Girls. His only prop is the little cardboard rice bowl that CRS distributes every Lent, challenging people to eat less and place the money they saved in the bowl. Of course, if you don’t eat less but put money in anyway, nobody will complain. The money collected is a major source of income for CRS food programs around the world. 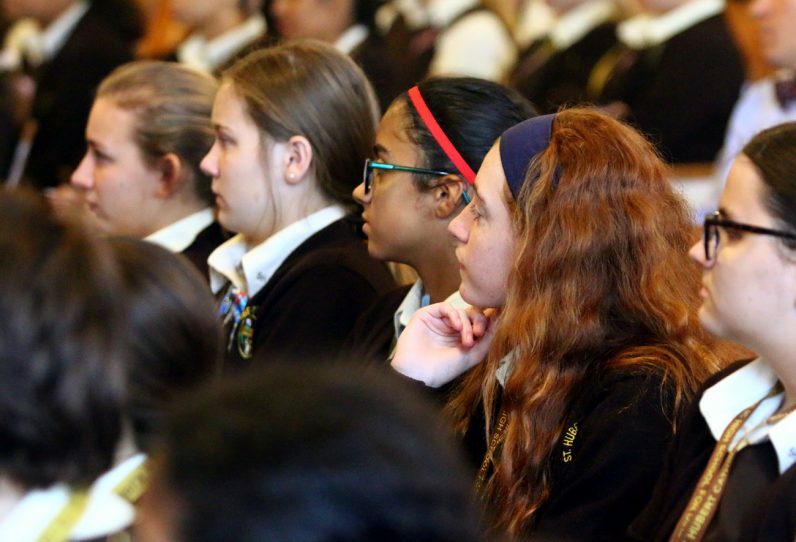 At St. Hubert High School, which was one of the leading schools in Operation Rice Bowl contributions last year, presentations like Awiapo’s are important because it’s not just about Catholic Relief Services and places like Ghana. “It takes what the students learn in the classrooms and applies it to real life,” said Eric Stonesifer, the school’s assistant principal of academic affairs. “They get to understand that the mission of the church is not just something that they read in books, it happens in real life. It affects individuals, it affects countries. Judging by the attentiveness of the students during the presentation and questions after, the message clearly was not lost.